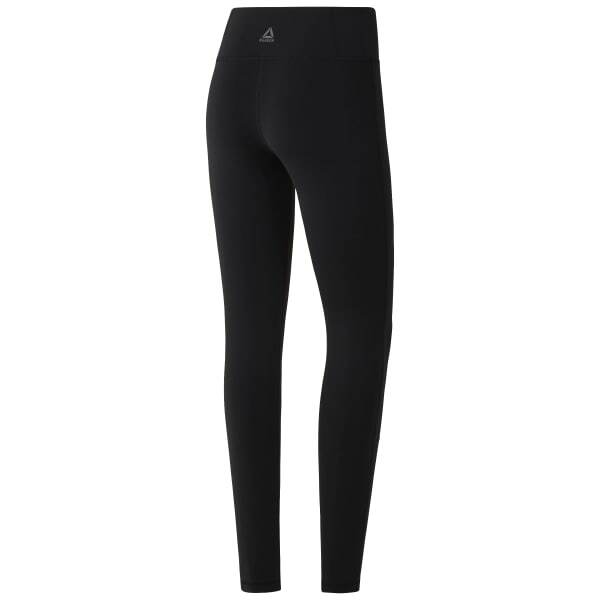 Fitted for any workout, these 7/8 length tights pack an essential punch. Proven technology manages sweat, and black elastane reduces reflective shine. The LES MILLS™ graphic reps your favorite exercise class. A wide waistband and flatlock stitching make for comfortable wear as you move at the studio.